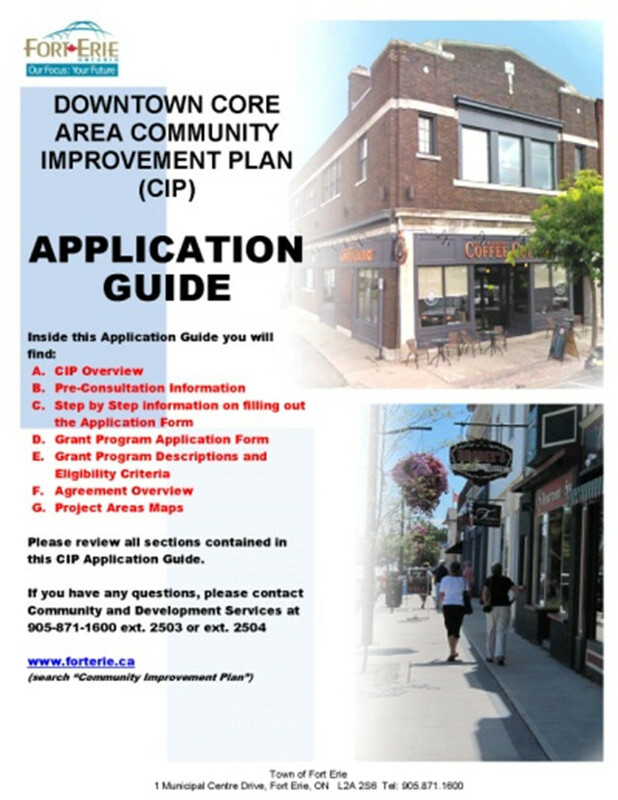 The Town of Fort Erie is excited to announce the start-up of their new Community Improvement Plans (CIP’s) and financial incentive programs for the Downtown Core Areas of Bridgeburg and Ridgeway. Town Council approved a By-law at last night’s meeting to establish how the Plans will be implemented and made available to eligible building and business owners who are interested in making improvements to the structures in these downtowns. Three programs have been structured that will offer matching grants (up to set limits) for improvements such as Façade Improvement, Commercial Signage and Residential Creation and Intensification. The Town is leveraging the available funding by tapping into Niagara Region’s “Smarter Niagara Incentive Programs” that provide percentage matching on the programs approved by Town Council. All properties must be within a defined boundary and must also be zoned for Core Mixed Use or Commercial uses. The financial incentives are delivered in the form of a single grant once the project has been completed and all agreed upon terms and conditions have been met. Interested participants must go through an application process with the Town in order to be considered for approval. The Town’s Neighbourhood Planner, Chris Millar, who will be the first point of contact for potential applicants said, “Our goal was to make this process user-friendly. We’ve designed an application guide that is straight forward and self explanatory. I would encourage anyone considering these programs to take a look at the guide.” Mr. Millar is optimistic uptake on the programs will be brisk, given the amount of people who have attended meetings and made preliminary calls and inquiries. 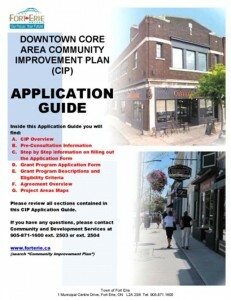 Information about the Downtown Core Area CIP’s can be found on the Town’s website at www.forterie.on.ca. A link under “Announcements” will take you to the page containing all the details and program information.